Gorgeous well maintained Keystone floor plan in Anthem Ranch! This home needs no work. Gorgeous well maintained Keystone floor plan in Anthem Ranch. This home needs no work! Granite countertops in the kitchen with cherry cabinets. Hardwood floors throughout kitchen & entry. Maintenance free composite deck offers a great place to enjoy your morning coffee with mountain and greenbelt views. Main floor study is complete with wall to wall custom built-ins including a murphy bed. Custom built-ins in the laundry room offer extra main floor storage. Plantation shutters in the secondary bedroom and wainscot accents. Garden level basement is a blank canvas to create your own space. Included is a 1 year home warranty through American Home Shield. 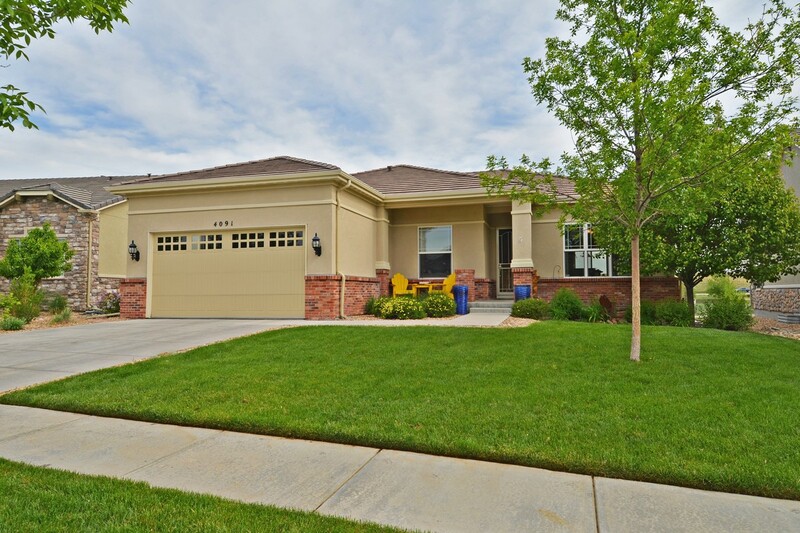 Anthem Ranch is an Active Adult Community located in Broomfield.